With this new year we begin another twelve month reading course. We are excited about the list of books we will be reading in 2018. 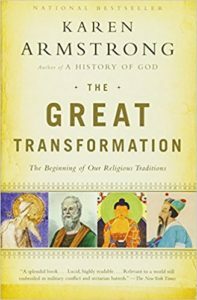 To kick off this new list, our book for January is The Great Transformation: The Beginning of Our Religious Traditions by Karen Armstrong. “From one of the world’s leading writers on religion and the highly acclaimed author of the bestselling A History of God, The Battle for God and The Spiral Staircase, comes a major new work: a chronicle of one of the most important intellectual revolutions in world history and its relevance to our own time. In one astonishing, short period – the ninth century BCE – the peoples of four distinct regions of the civilized world created the religious and philosophical traditions that have continued to nourish humanity into the present day: Confucianism and Daoism in China; Hinduism and Buddhism in India; monotheism in Israel; and philosophical rationalism in Greece. Historians call this the Axial Age because of its central importance to humanity’s spiritual development. 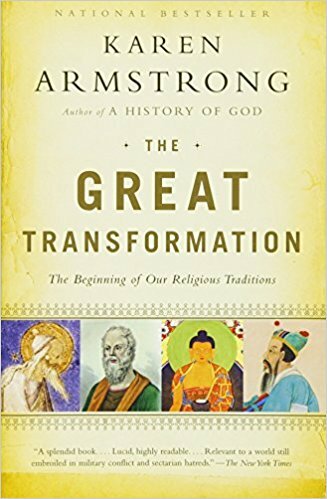 Now, Karen Armstrong traces the rise and development of this transformative moment in history, examining the brilliant contributions to these traditions made by such figures as the Buddha, Socrates, Confucius and Ezekiel. 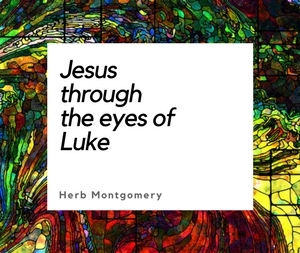 Our hope is that as you read this thought provoking volume, you will be inspired and your heart renewed to choose compassion as we follow Jesus’ example in healing our world in 2018.